A little slow and disappointing, but still a good read for the most part. 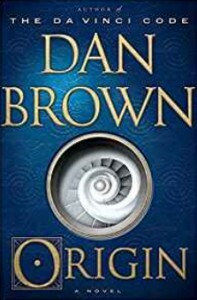 Origin, Dan Brown, author; Paul Michael, narrator Edmond Kirsch is an atheist. 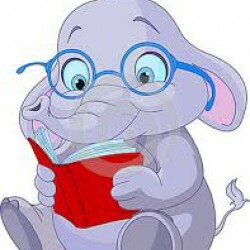 However, when the book opens, he is preparing to meet with three important leaders, each representing a major religion: Christianity, Islam and Judaism. As he ascends to a magnificent, mountaintop monastery in Spain, he knows that what he is prepared to tell them may very well shock them visibly. He has accumulated certain knowledge that will threaten the core of their religious belief. Although the three leaders quietly panic, they vow to remain silent and think about how to handle the devastating new information, Edward, though, is determined not to remain quiet. He plans to present his thesis to the world, even though it threatens to shake the very foundation of religion and create a worldwide panic. Robert Langdon has received an invitation to his moment of glory, his actual televised presentation at the Guggenheim Museum, in Bilbao, Spain. The event is headed by the Director of the Museum, Ambra Vidal, the fiancé of the future king of Spain, Prince Julian. When Kirsch is murdered during the presentation, chaos reigns. There are too many diversions and tangents which will lead the reader’s eyes to glaze over. Some of the descriptions go on too long and are too technical. The final fifth of the book is tedious and the conclusion is unsatisfactory. Still, for most of the book, the reader is kept guessing, as the action moves forward. The most interesting aspects of the novel were the descriptions of various landmarks and attractions like the Fog Sculpture by Fujiko Nakaya, at the Guggenheim, and Antoni Gaudi’s Sagrada Familia, a Basilica which was begun in 1886 and is not due to be completed until 2026.